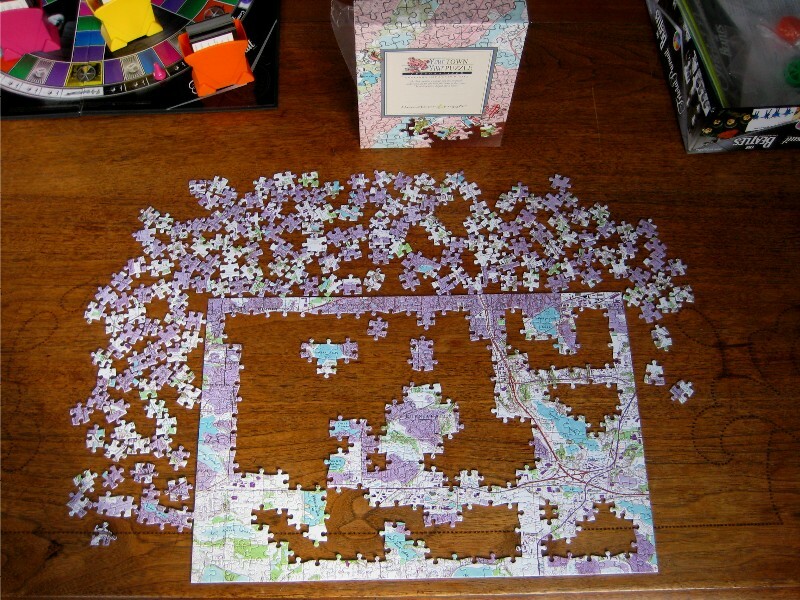 Some days I would like to ignore everything that I really should be doing and focus unlimited hours of idle attention on a familiar jigsaw puzzle, regardless how gorgeous the weather outside might be, how many home projects are screaming for attention, or all the work responsibilities to which I am duly committed. I am a master of idle distraction, however, I rarely allow myself to revel in idle passions to a fraction of a degree worthy of being considered mastery. Maybe I should instead state it as being a dreamer of idle distraction. It would be fair to say that a Monday morning in front of my desk at the day-job, with multiple issues simultaneously calling for immediate attention, happens to be a time when my urge for idleness can be greatest. I don’t know whether it would surprise you to read how often this plays out when I would like to compose a daily blog post. The greater my yearning to have a post written and proofed, the more idle my brain seems to get. One good thing about distraction of an empty brain, it allows plenty of room for imagining creative somethings from nothing. Except, sometimes, nothing is all that comes. It’s distracting. Well, that’s not true. You can make it up, but what good would that do? I suppose it could serve, in a circular sort of way, as something of an idle distraction, no? Don’t mind me. I’m just distracted by having too much on my mind that should be getting my constructive attention all at once. And doing nothing. Maybe I missed my calling as a congressman or senator. Perhaps you should do an entire series on idle distractions to determine which one is the most effective. Of course then perhaps the project is then no longer an idle distraction. That idea has an appeal. It would be a pleasurable endeavor, despite the possibility it would stretch the bounds of the idle distraction concept. Something to mull over while sitting on the deck with my feet up, whittling away on an odd piece of wood that has caught my eye.